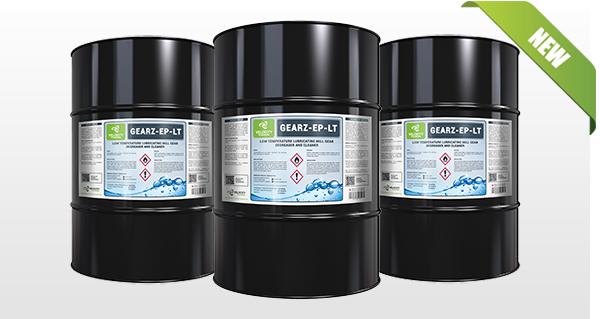 Specially formulated to work at ambient temperatures, GEARZ-EP-LT is a solvent-based cleaner that has been fortified with extreme pressure additives so it can lubricate, degrease and clean mill gears during operation, even under heavy load. Through its additives, it can also remove the difficult lubricants that contain lithium, asphlatines and molybdenum disulfide, which can build up in the root of the gear teeth over time and negatively impact on the efficiency of mill equipment. “Keeping gears clean and well lubricated is essential when major mill operations want to achieve the highest levels of efficiency, both in terms of time and cost. But there are other aspects that make clean gears so important, not least alignment checks and warranty inspections. 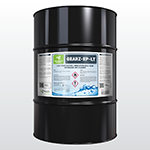 GEARZ-EP-LT is a low temperature solvent-based cleaner that has been specifically fortified with extreme pressure additives to ensure the most effective lubricating, degreasing and cleaning of mill gears possible while operating under load. While GEARZ-EP-LT contains no chlorohydrocarbons and adheres to the highest health and safety standards, contaminates it removes from mill gears may form toxic vapours in heated conditions, an organic mist or vapour respirator is recommended during application. Please refer to Material Safety Data Sheet for disposal and handling procedures. For best results when rinsing, it’s recommended to use a high pressure, preferably hot water wash and dilute (1%) solution of HEAVYWEIGHT heavy duty caustic liquid cleaner or WONDERSOL multi- purpose alkaline cleaner, both also available from Velocity Chemicals. With Velocity Chemical’s extensive distribution network, GEARZ-EP-LT is available anywhere within continental North America, with orders shipped 24 hours. GEARZ-EP-LT is available 200 L drums. GEARZ-EP-LT can be ordered directly from Velocity Chemicals. For more information or to place an order, call 604 881 4700. Velocity Chemicals Ltd is a recognized leader in the formulating and manufacturing of chemical lubricating, degreasing and cleaning products, providing trusted cleaning solutions to a wide range of industries. A trusted name in a specialist industry, our products and services are used by some of the largest companies across multiple industries in Canada and the USA. Velocity Chemicals Ltd has its corporate headquarters, manufacturing and distribution facilities in Surrey, British Columbia.